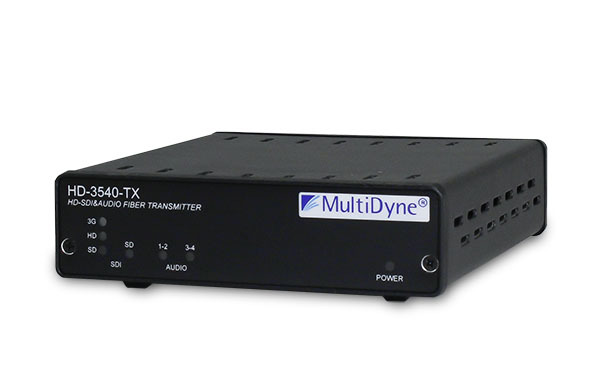 Handle a Wide Range of SDI Signals from SMPTE 310M to 3G HD for 1080P Production Feeds. 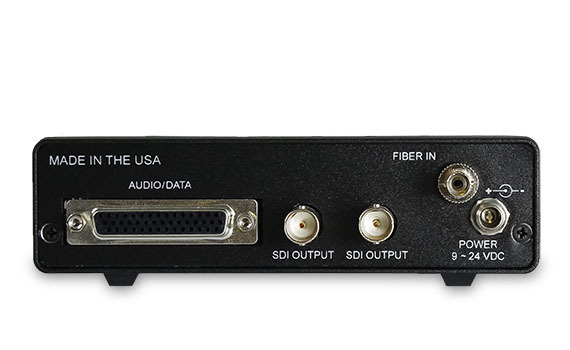 The HD–3540 facility video & audio fiber link is designed to provide a single fiber solution to handle both video and audio program content. The video design handles a wide range of SDI signals from SMPTE 310M all the way to 3G HD for 1080P production feeds. The unique 24–bit audio signal processing makes the HD–3540 an ideal choice for facilities handling audio analog audio, professional audio suites that have already converted to AES audio or control rooms that have to deal with a mix of audio signal formats. The fiber transmitter will accept either four channels of analog audio or two AES audio signals. Automatically sensing audio signal presence, the audio is transmitted along with the video as a data stream over the fiber. At the receiver the audio signal is available as both an AES stream or the original analog audio signal. The HD–3540 can be operated in a stand–alone configuration, or rack mounted in a 1RU panel with up to three units mounted side–by–side.